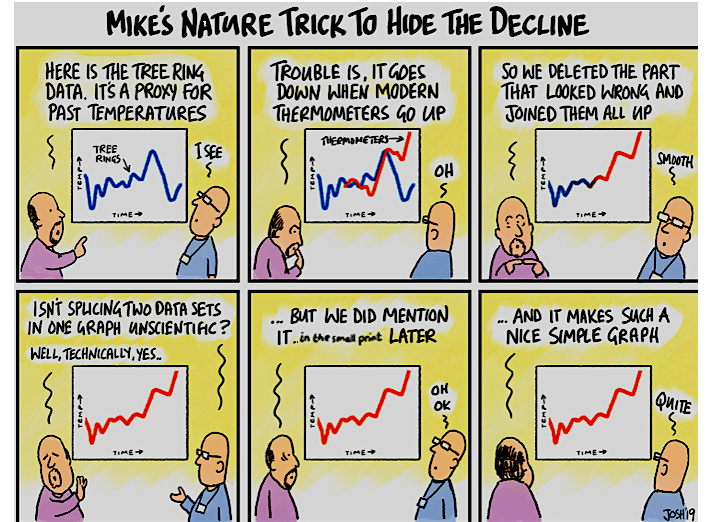 It is important to note that in the above cartoon, Josh focuses on the “near present” part of the hockey stick, and it’s not the entire graph ... used an entirely different dataset in it’s place – surface thermometer readings. ..Imagine the penalties that would occur in the stock market and financial world if somebody pulled a trick like that to present data for public consumption. Steve McIntyre has a look at the “revised” PAGES2K temperature proxy dataset that includes tree rings and river sediments. 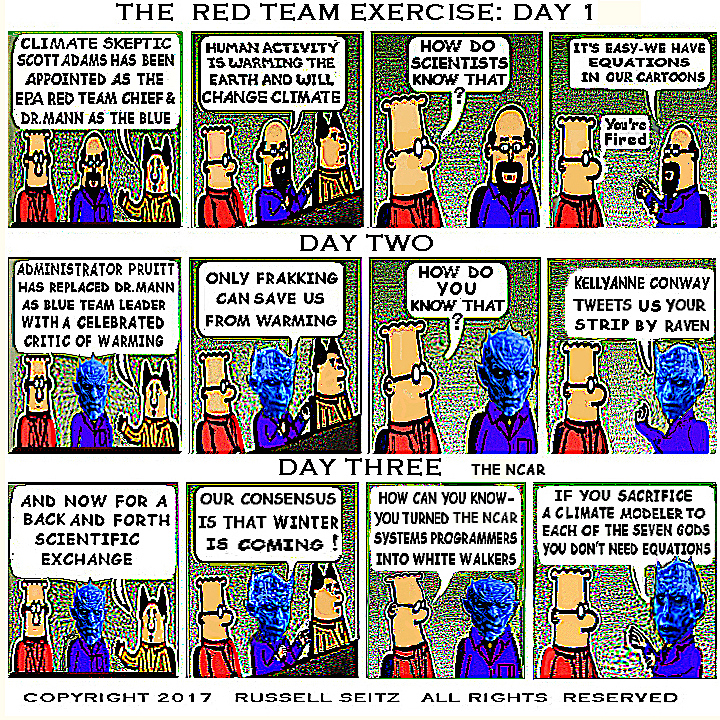 He finds the usual ridiculous problems from the past October 11, 2018 in Proxies.